The Pembroke Regional Hospital Foundation is proud to announce our newest fundraising partner – Funding Innovation. Funding Innovation operates a sealed bid, art on easel auction program with the majority of proceeds going directly to the designated charity. This is a turnkey operation with Funding Innovation covering all of the costs and logistics associated with the program. That means that there is ZERO cost and ZERO risk to the Pembroke Regional Hospital Foundation and we can use 100% of the funds raised to cover our most pressing patient-care needs. You will see their easels up at various locations within the hospital and at various local retailers. We encourage you to stop and take a look at the artwork they are auctioning and, if you like what you see, make a bid. if multiple prints are available, more than one bidder may receive a print. successful bidders will be contacted to arrange for payment and delivery, and will be responsible for taxes and shipping charges incurred. 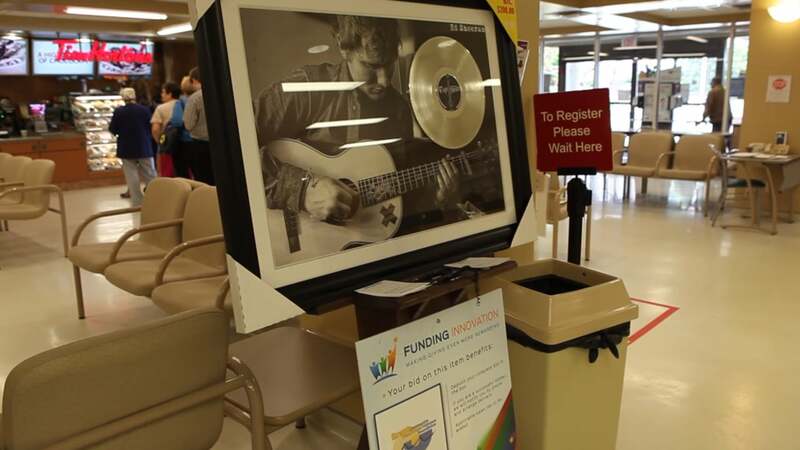 To learn more about how the Easel Program is helping to raise sustainable funds for the Pembroke Regional Hospital Foundation, visit Funding Innovation. If you are a local retailer and you’d like to help raise funds for the Pembroke Regional Hospital Foundation, you can find out how you can get involved with the program functions by watching this video. Sample piece of art from the Easel Program.